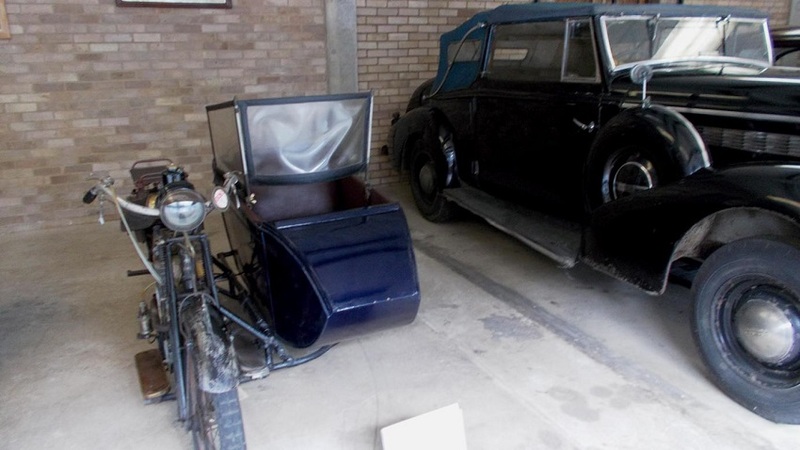 Chris and I recently had a short break away in Great Yarmouth, and whilst we were there I revisited the Caister Castle Car Collection. On my previous visit I had been told off for taking a picture of an exhibit on display in the museum. I had recently heard that photographs were now allowed. On arriving at the museum I checked that this was indeed the case before paying the entrance fee. 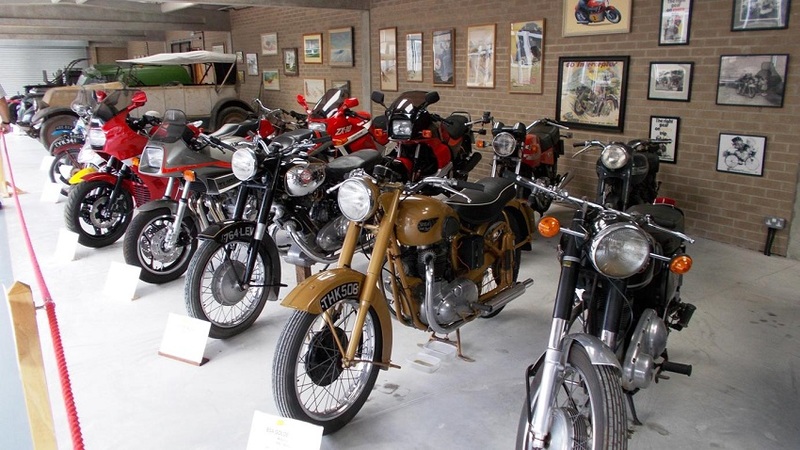 This is a privately-owned motor collection which has been extended since my last visit; it now has on display 211 cars and motorcycles, but several more vehicles will be added at the end of the season. 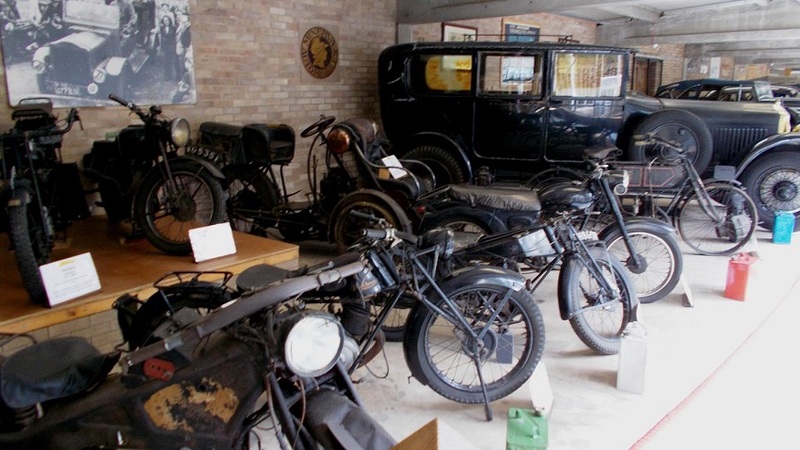 The museum is well-staffed, with 10 attendants each looking after a section; these chaps were very knowledgeable about the vehicles under their care. 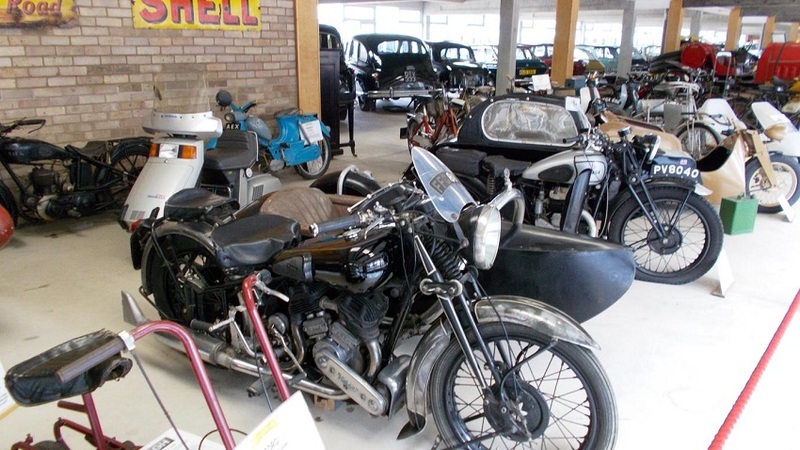 There are three main areas of motorcycles, but the odd motorcycle is also placed among a line of cars. 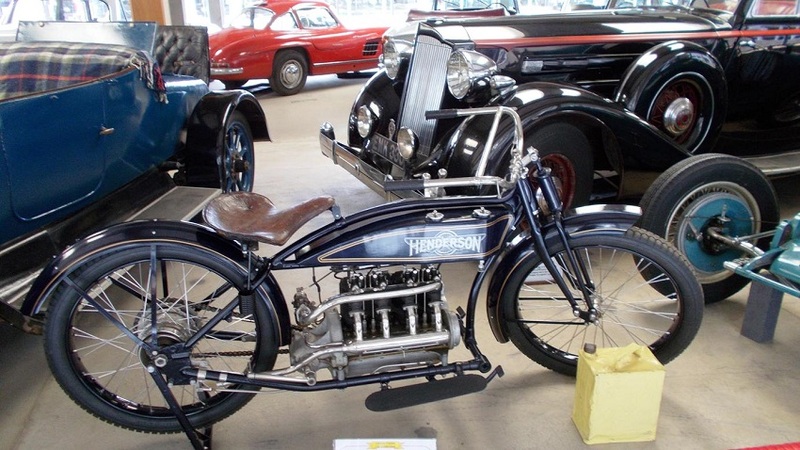 The first motorcycle that I spotted was a Socovel powered by a 2-6 hp electric motor. 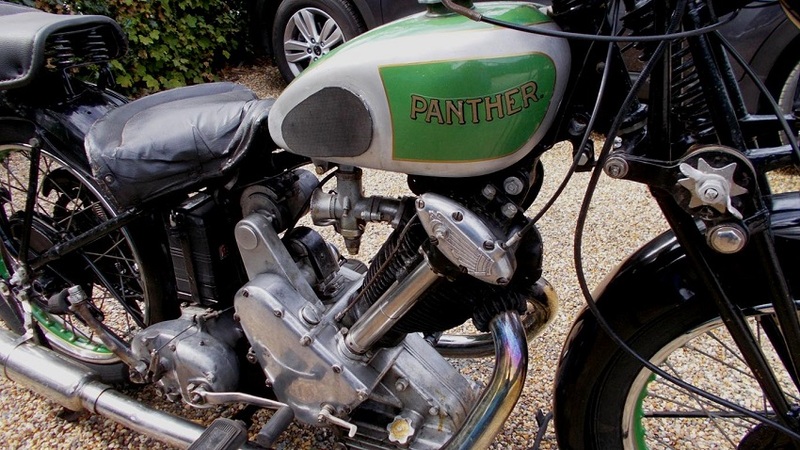 I got lucky at the first major motorcycle section, where I met Ian (he had ridden to work that morning on his pre-war Panther model 100, which was parked up in the car park). 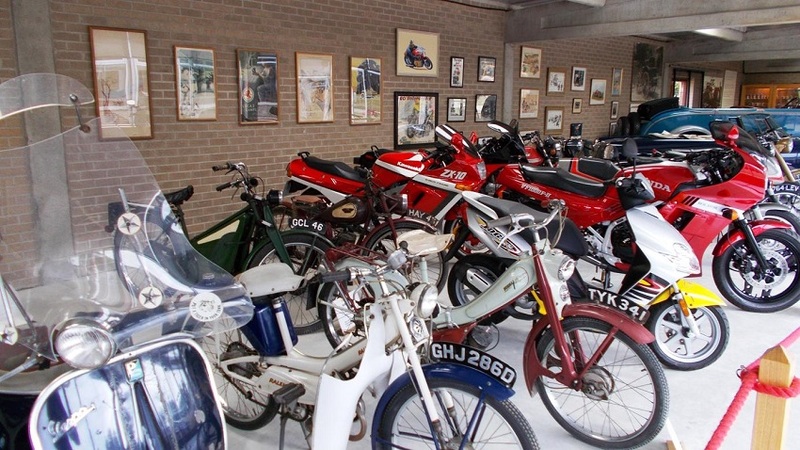 He looks after this section and is a keen classic motorcycle rider. 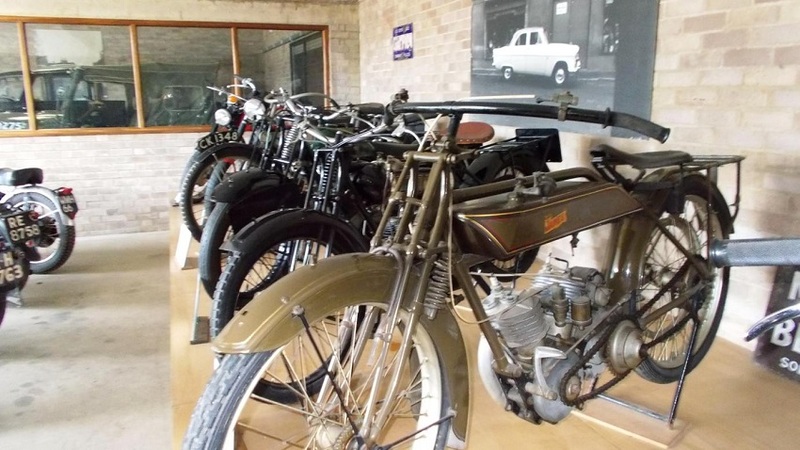 He owns several bikes and he really likes machines from the 1930’s up to the late 1950’s; girder front forks and a solid rear frame are his favourite ones. As you can imagine we had quite a nice talk!! He told me that he has never ridden an outfit, but that he has a couple of sidecar frames and a couple of sidecar bodies at home, and he has the idea of making up a classic outfit in the future. Moving along past more classic cars I came to the next motorcycle section, and amongst several outfits was a Brough Superior, complete with a Brough sidecar. 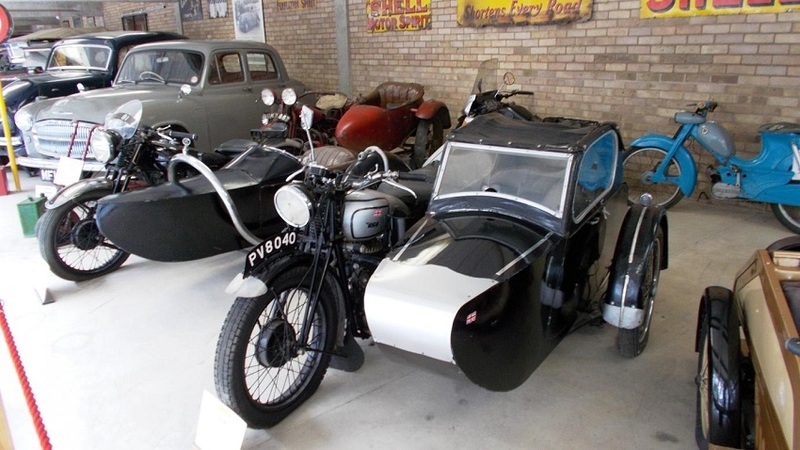 In a group of cars I spotted a 1937 Triumph Gloria; this looked impressive and the notice board stated that it was made by the motorcycle company. 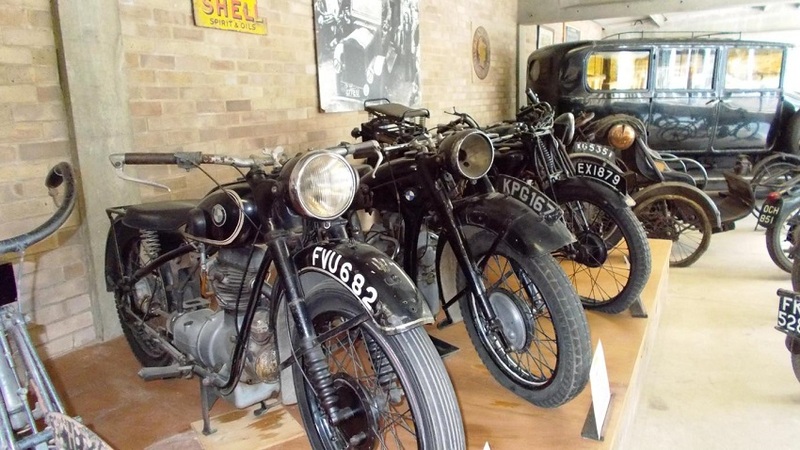 I explained to an attendant that, whilst I was interested in the cars, I had really come to see the motorcycles. 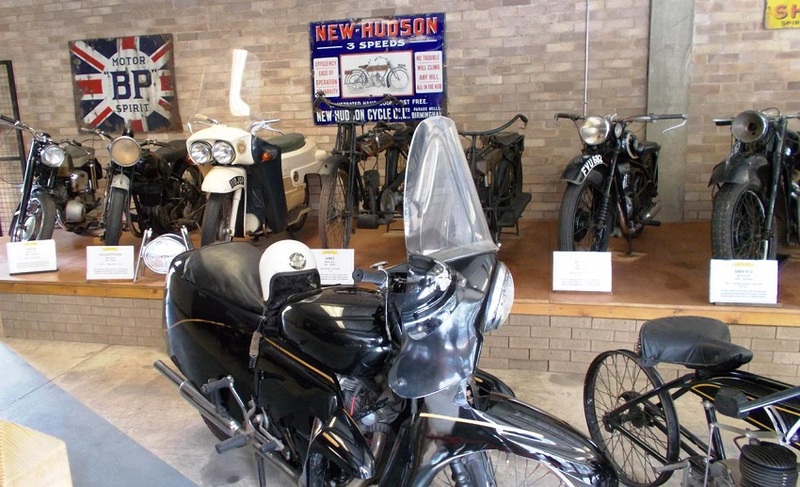 He explained that since my last visit there was another motorcycle display, which I would find on my way around. This I found and this is the area where extra vehicles will be put later in the year. None of the people working there that I spoke to have any idea of what is coming – it’s a bit like Christmas – wait and see!!!!! 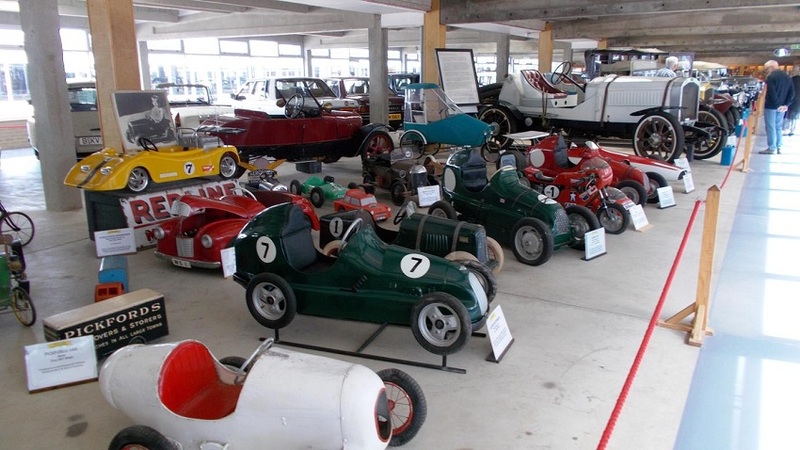 The exhibition centre covers an area of 35,000 square feet, and there is plenty to see, including horse-drawn vehicles, pedal cars and loads of bicycles. 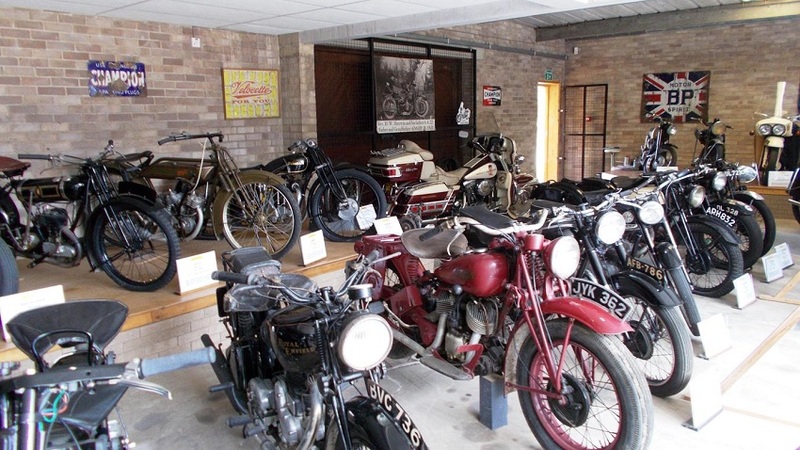 I feel that there are approximately 100 motorcycles on display. In the castle grounds there is a picnic area, plus a tea-room doing light refreshments. The castle was built in 1432, and you can climb up into the 90-foot tower to get a great view of the castle ruins and the local area. There are several things to see in the grounds, including a car “as found”. 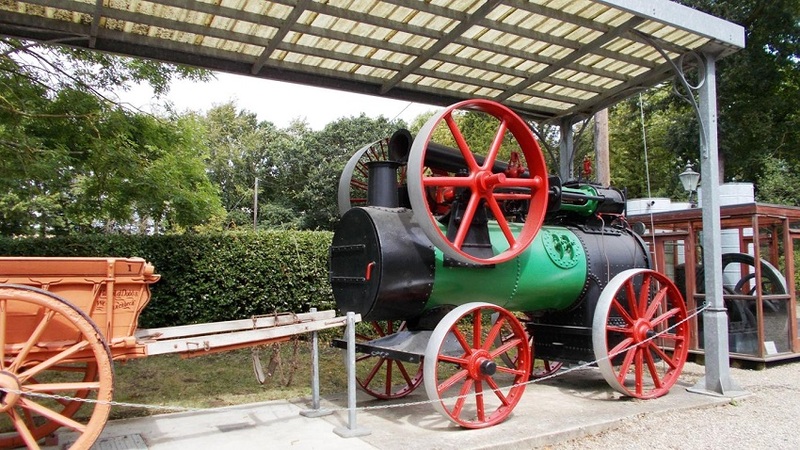 This is a great museum and well worth a visit. It is open from mid-May until the end of September. 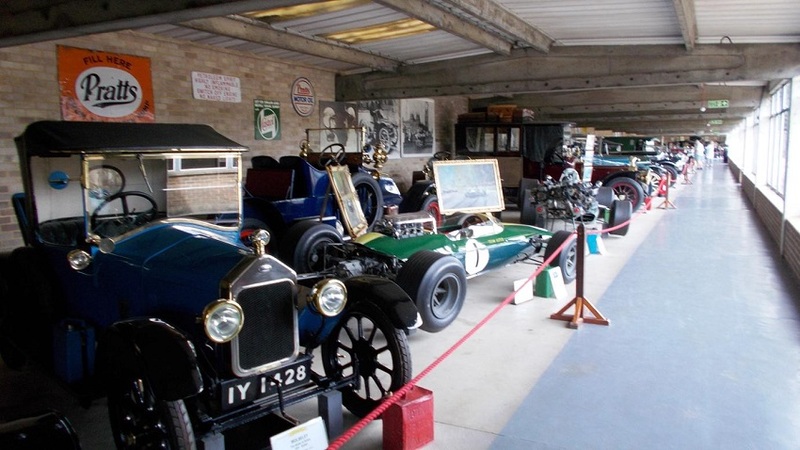 Opening times are from 10.00 am to 4.30 pm daily except on Saturdays, when it is shut.